Dexter and Emma, with those geeky 1980s-glasses, out on a countryside walk on that fateful day in 1989, when their bewildering relationship started. One Day is based on the book by David Nichols. 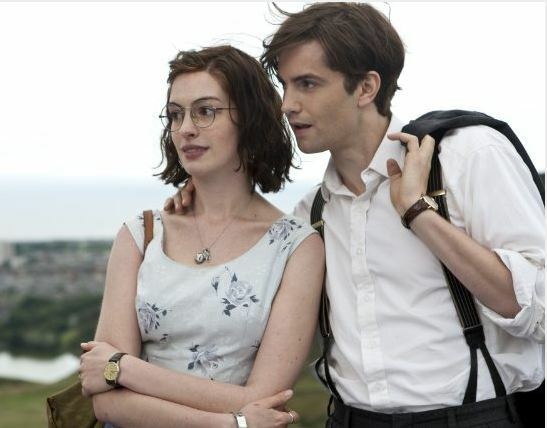 Set in grim and rainy England, the storyline revolves round the self-obsessed Dexter (Jim Sturgess – The Other Boleyn Girl, The Way Back, Ashes) and the innocent, geeky-looking Emma (Anne Hathaway – Bride Wars, Rio, The Dark Knight Rises), two individuals who are hopelessly (and, to some extent, tragically) in love with one another, but decide to be ‘friends’ rather than lovers. Dexter and Emma get with one another on the 15th July 1989, the day of their graduation from university, and decide to keep in contact. They write and call one another quite regularly, and meet up for their ‘anniversary’ every year on the same day for years, sustaining a varying relationship, despite moving on with their lives. The film’s plot may not be entirely faithful to the book. Nevertheless, the movie is absorbing and not difficult to follow, even if one occasionally forgets which year he/she is in. One Day is captivating primarily because it does not have the feel of a predictable romantic comedy. One never knows what direction the (dismaying) relationship between Dexter and Emma will take. In addition, Emma’s intelligent, wry humour is very amusing, and distinctively unlike the standard slap-stick comedy that is habitual in ‘chick flicks’. Dexter getting touchy with Emma, as he rubs suncream into her back on their ‘anniversary’. Playing Dexter and Emma, Jim Sturgess and Anne Hathaway, respectively, do themselves no harm. 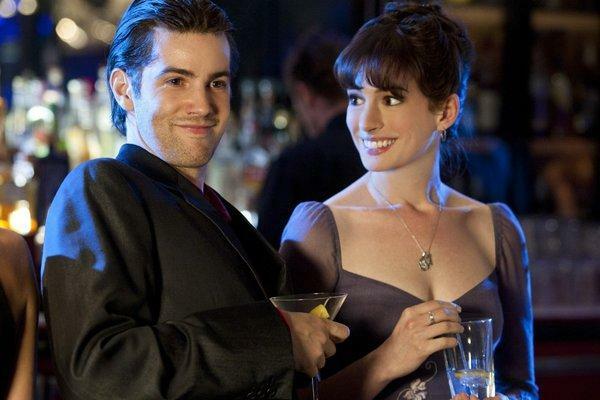 But Sturgess’s character, Dexter, is far from the most challenging of roles. The same can be said for Hathaway’s character, Emma. Additionally, Hathaway’s Yorkshire accent may fluctuate between a Leeds-based one, a Scottish one, and a posh-English one, but on the whole it is acceptable. Yet, even though Sturgess and Hathaway perform decently enough throughout One Day, there is little character depth and almost no character development throughout the film. This means that Dexter and Emma hardly change or mature in twenty-odd years. (Then again, in reality nor do most people.) It is the same for the other members of the cast too, such as the goofy Ian (Rafe Spall – Kidulthood, Hot Fuzz, Anonymous) and the bimbo Tara (Amanda Fairbank-Hynes – An Education, Monte Carlo, Tinker, Tailor, Soldier, Spy). This is a shame for the actors, as the script (despite already being laid out in a book) simply isn’t good enough and does not give them the adequate tools to make the movie unique. As remarkable as it may seem that the characters remain virtually the same throughout One Day, the same can be said for Emma’s hairstyle and fashion sense. Both look like they’re locked in the era of Saved By The Bell. By the mid-2000s, she looks wholly anachronistic. The same can be said for Ian too. Surely the director, Lone Scherfig (Wilbur Wants to Kill Himself, An Education), noticed this whilst making the film? Evidently not. Dexter and Emma, both looking glamorous, catching up with one another years later. Other noticeable faults with One Day are that it feels rushed and, in places, poorly put together. The film may have to cover two decades in the space of 107 minutes, but that is not an excuse for scenes not being stitched well together. Furthermore, some of the music adopted appears badly chosen and does not fit with the scenes at all. One Day is far from the norm for a romantic comedy. The film has its flaws and could have been much more, but Sturgess and Hathaway perform well enough with what they are given to make it worthwhile viewing. For One Day is witty, entertaining and unpredictable. Wait for the twist. Travelling can often be long and boring, regardless of whether it is on a bus down the road or on an aeroplane across the world. Alas, despite one heck of a trek, one feels much the same whilst sitting through The Way Back. The film is based on true events as described in the book, The Long Walk, by Slawomir Rawicz. (The book, however, has recently been proven to be a work of fiction.) The story centres on six men, who escaped from a Siberian gulag in the winter of 1940 and made their way south to India on foot. The distance alone sounds daunting to even the most determined of souls. 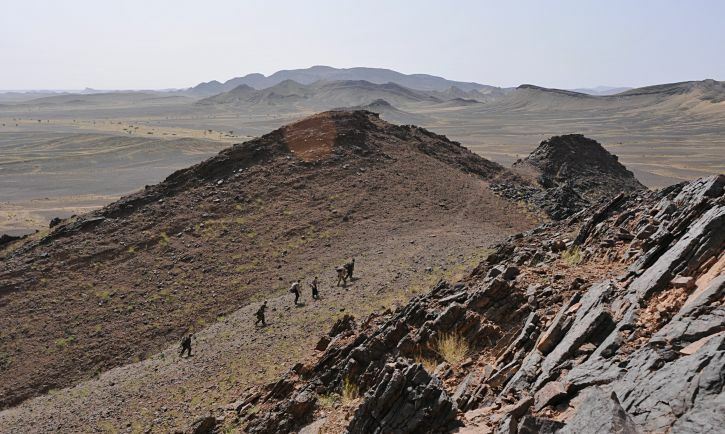 The inhospitable terrain and harsh weather conditions make the task Herculean, if not outright impossible. 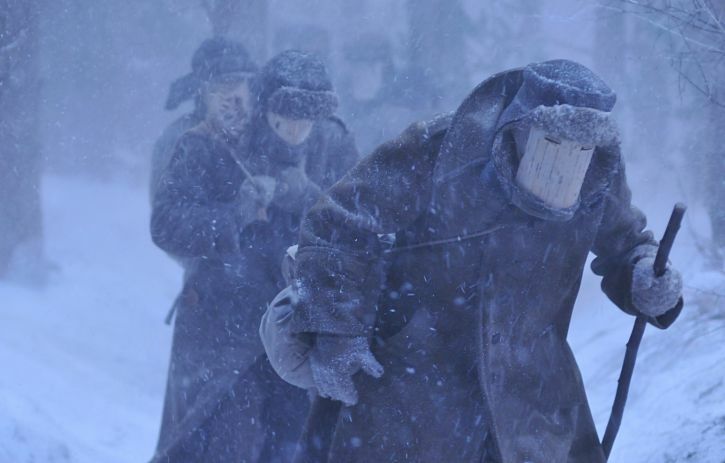 Janusz, played by Jim Sturgess, leads the way through the fierce snow storm. The blizzard is so strong they have to cover their faces in order to see where they're going. The director, Peter Weir (Master and Commander: The Far Side of the World, The Truman Show, Gallipoli) certainly captures the difficulties the heroes face. From the bitingly cold, white desert of Siberia to the scorching heat of the Mongolian/Chinese one, the struggle to keep on going is vividly portrayed. The lack of food and water is a constant problem. Hunger, thirst, cold and skin problems are a constant reminder of the fragility of mankind against unforgiving mother-nature. Yet, throughout the movie, one wonders what the goals of the main characters are. Once they have escaped, then what? One gets the impression that escaping from the gulag is the end in and of itself; which, of course, it cannot be. An even greater travesty for The Way Back is that, whilst the acting is generally good, the key characters do not develop. Worse, Weir fails to make us empathise with the heroes. With the exceptions of the American ‘Mister’ Smith (Ed Harris – A Beautiful Mind, A History of Violence), the criminal Valka (Colin Farrell – Phone Booth, Miami Vice, SWAT), and Irena (Saoirse Ronan – Atonement, The Lovely Bones) for being a woman; the other characters do not stand out: Janusz (Jim Sturgess – Legend of the Guardians: The Owls of Ga’Hoole, 21, One Day), Tomasz (Alexandru Potocean – 4 Months, 3 Weeks, 2 Days, The Paper will be Blue), Zoran (Dragos Bucur – Tuesday After Christmas, The Godmother) and Andrei (Dejan Angelov – Scorpius Gigantus, Until Death) all seem to merge into the same kind-hearted character. Whilst benevolence in such situations is to be admired, it makes it hard to differentiate them; especially as they all look the same dirty, scraggy outlaws. The accents are also disappointing. Apart from with Colin Farrell, there is little consistency in the actors’ Slavic accents. (Ed Harris uses his American accent throughout the film so is exempt from criticism.) For some of the time, their accents are surprisingly good. But just as one starts to believe that they could actually be Polish or Russian (depending upon where they claim to be from in the vast USSR), out pops their real accents to undo it all. One would have thought that an experienced director, like Weir, would have noticed this during filming. Evidently not. The party have to endure seemingly endless baron planes during their trek. The baking-hot, sandy deserts of Mongolia and China are just as cruel as snowy Siberia. One thing the film gets right, historically, is the way the gulags were run. Hardened criminals were virtually given carte blanche to terrorise other inmates; especially if they were political prisoners. In addition, the topography throughout the movie, which the National Geographic channel helped to choose, is wonderful. However, whilst one can appreciate picturesque landscapes, a film that lasts more than two hours has to give its audience more to enjoy than mere terrain. Although The Way Back had to be long to ensure the audience grasps the extent of the distance the main characters walked; not enough happens to them to sustain the viewers’ interest and concentration. 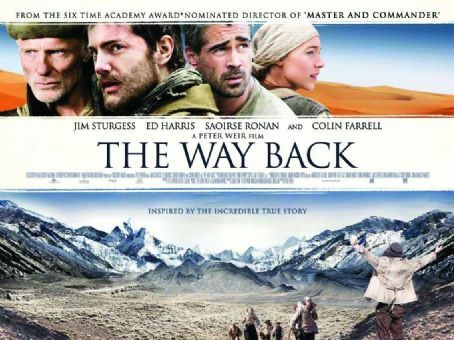 Ironically, one comes out of this film thinking that, despite witnessing a journey from Siberia to India, they had not seen much.